I don't really plan to move it around anyway, so I'm not too worried about it getting banged up. Someone please clarify: Greenbacks as a category of speaker are, to my mind, immediately identifiable by a very specific midrange kerrang, recessed and blurred bass, and slightly attenuated treble. 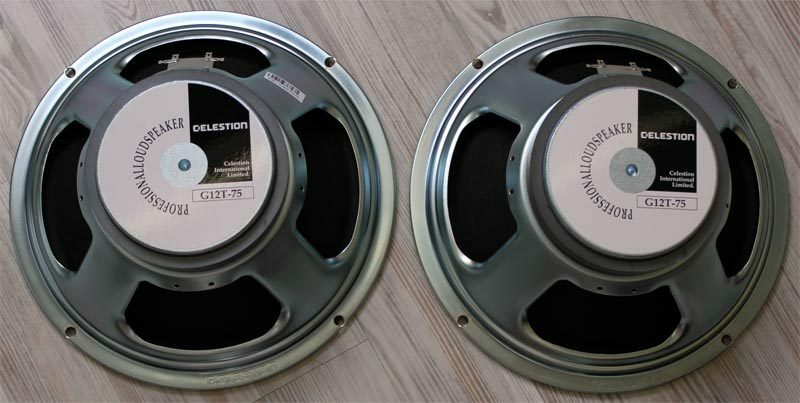 It is worthwhile to check out the review of the Celestion Heritage reissues that we conducted when they were released; they are both excellent models and are truer to the original vintage models made in the 1960s. They're clear, clean, and have nice extension into the upper and lower frequencies, so they look good on paper, but in reality, they're just not exciting to listen to. My guess is that they were designed by committee to be the ultimate speaker, but that just lead to a speaker designed around the idea of compromise, instead of a speaker designed around the idea of excellence. I too had these in low regard until I heard this quad. Well, if the H30 model is characteristically flat in e. The G12T-75s have been around for quite some time, probably longer than the vintage 30 and they have a very different character to them. So anyways I hate to throw another one at ya but these are getting a steady following too. 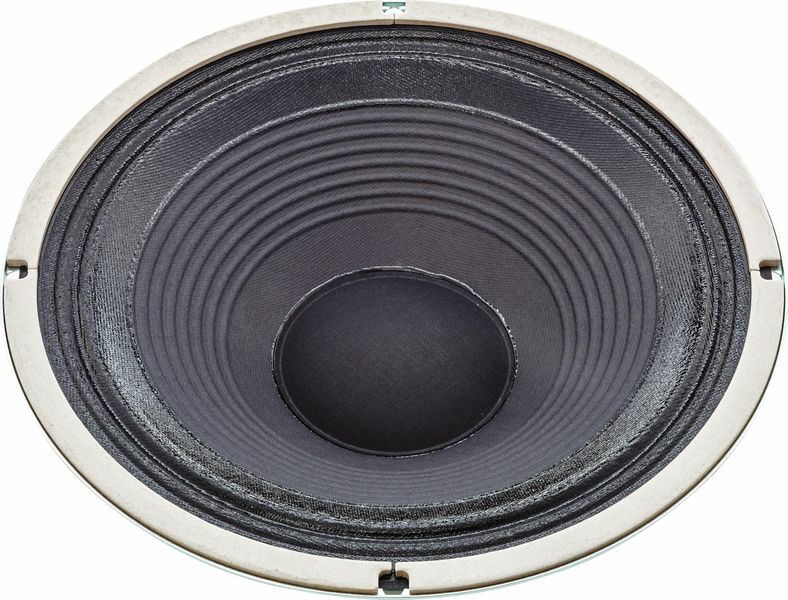 Most people will consider the G12T-75 among the Top 5 speakers offered by Celestion. There is of course the phenomenon known as beaming, that is not the speakers fault, it has more to do with how the frequencies themselves behave when travelling through the air, also where you are standing is a huge factor. However, it has also highlighted that we need some community input into what is working and what is not working for members here. I mainly play modern rock and found the V30 had a nice amount of midrange punch that cut through the mix nicely. These are the characteristics that make the G12T-75 the weapon of choice for Yngwie Malmsteen. I have yet to personally try this myself but it definitely does sound good on paper. It lacks pronounced upper mids and can lack presence and could potentially prevent your guitar from cutting through a complex mix but it still sounds great by itself. But I don't own them anymore and will never buy them again. I also found that the difference in eq meant that I was using a tad less gain than with the G12T which in my case made the amp sound a little clearer. 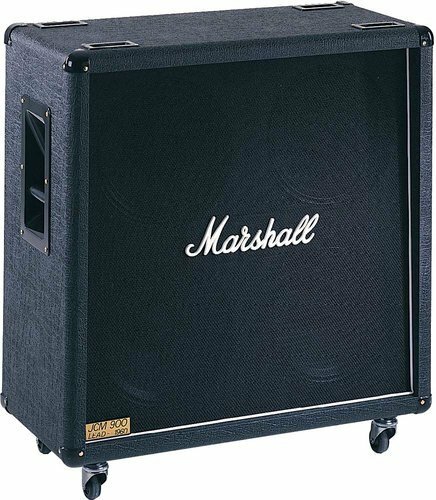 What we are interested in is comparing and contrasting the following Celestion speakers used in Marshalls at various times: G12M 25, G12H 30, G12-65, G12T-75, and the Vintage 30. Maybe that's part of the equation??? G12T-75 This model is the most common Celestion speaker of all. It emphasizes the top end crunch of a distorted rock guitar, but rolls off many of the most extreme highs that more efficient speakers can reproduce. It has a heavier magnet but also sounds and feels quite different from the M. I've never used tru v30s on a Marshall. Yeah, lots of players seem to like the G12T-75 paired up with the Vintage 30. I guess they really do take a long time to break in, because the ones I've heard new in stores sound like junk. Whilst they may not be neutral like, say, a G12-80 they don't have any notable peaks or dips. I know it works well with some Marshalls, but I usually prefer using Greenbacks or even Vintage 30s compared to this. The high end on the G12T was little brittle for my liking but it did have a nice bottom end. These two speakers compliment each other well because the produces the upper frequencies that the it lacks and vice versa. Gotta say, I really like the G12T-75. And the Orange head, I was actually thinking of making my own faceplate, and maybe doing something with the tolex. With 75W he will not risk to explode on stage like a 25W. I've never been able to get them to sound good mic'd up though, what's the trick? 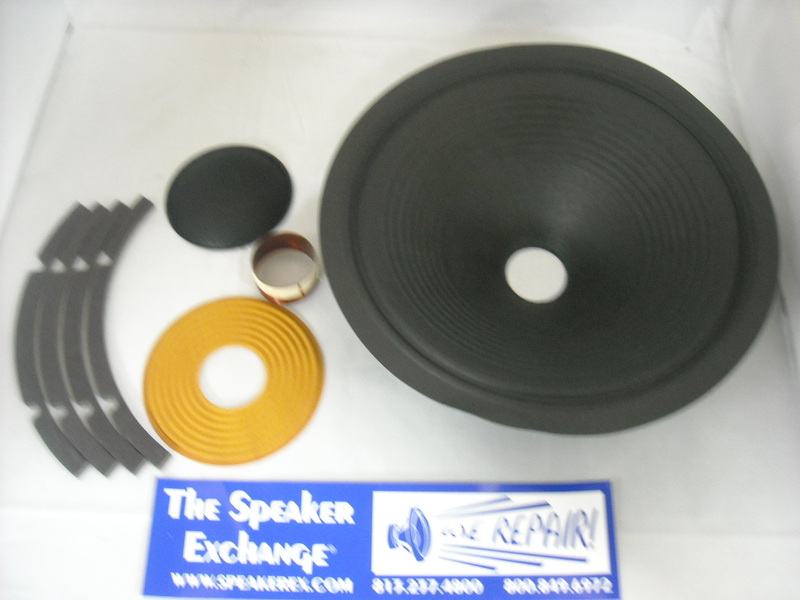 Make no mistake though, this speaker still has plenty of top end — always watch your treble control. I guess it comes down to what music your playing. A few dBs in reduced sound output makes quite a difference! All that said, which cabinet might be better for my sound? I think there is also consideration due to the cab you use and the rig you are running. Any love for the Celestion G12T75 speaker? Different speakers make a lot of difference. This is the one that definitely moves us into a more mid-scooped zone. This speaker is the classic choice for 70s heavy rock sounds. And this is an area that is all too often neglected. Worn or mismatched speakers in wattage or impedance ohms are one thing, but different speaker designs also provide dramatic changes in tone and response for guitarists. If I were playing through a Marshall amp I might feel differently because of that amps natural E.
I think Greenbacks add their own flavour to the sound, and I'd say that isn't neutral. Many of our reader questions become the basis of new articles written and this is certainly an example of one of those. The Gear Page is run by musicians for musicians. The G12T-75 delivers a great rock and roll bite that is crunchy yet smooth when used with a master volume-style Marshall or higher gain contemporary amp. If you look at the various posts, you will see that many of us prefer V30's or Greenbacks. Essentially, this speaker excels in hard rock and metal voices, but can also be a bit buried in the mix due to its scooped midrange nature. Built to meet the demands of high gain amplifiers, the G12T-75 combines a huge, tightly controlled low-end and aggressive mid-range with a softened top-end that adds a welcome sweetness to overdrive, distortion and aggressive upper harmonics. This is not to say that they sound bad! I'm afraid that the Wolverine speaker is a special design for Marshall and due to customer confidentiality I am unable to comment on its design or performance, sorry about that. Well, they're not the worst speaker I've ever owned. And it does mate well with the Greenback style speakers like peas and carrots. These are the other half of the vintage 30. I concede that you will hear it in the comparison below. This cab got hit with 4 to 8 to 16 ohm settings. It is one of my favorite speakers.